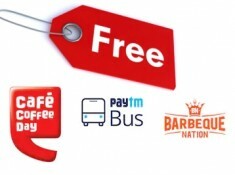 How to Get Flat Rs 160 Cashback on Movie Tickets? Select the Movie, Date, Time, Cinema, Seats, etc. of your choice. The maximum Cashback amount that can be earned is Rs 150. If you book tickets for Rs 200, you will receive Rs 150 cashback. If you book tickets for Rs 300, you will receive Rs 150 cashback. The offer is not applicable on cinemas which accept Advance tokens only (with Ticket Price to be paid at the counter). This promo code is only applicable for booking movie tickets on paytm.com and Paytm App.